A Personal Shopper provides the customer with personalized assistance, in addition he is specialized in guiding the customer in the shop. A personal shopper can accompany customers around to find the most important addresses in the world of fashion with specific proposals and itineraries to choose well, saving time and money. A Personal Shopper offer advice immaginee and specific recommendations based on your tastes, trends and characteristics for men and women of all ages. Tuscany, as well as being a wonderful and unique region for art, is undoubtedly also one of the capitals of luxury and shopping, where are the big brands. Mainly in Florence and in the surrounding area, are concentrated the most important multi-brand boutiques and shops above all other leather goods. One of the main factors that lead many tourists to visit Tuscany is to do shopping in the most exclusive outlets offering “Made in Italy” products of the largest and prestigious Italian and international fashion with discounted prices. An added benefit is the Tax Free Shooping allowing non-European citizens a refund of taxes on all purchases made in the outlet. Women’ clothing: Arfango, Basile, Benetton (Marchi: United Colors of Benetton, Sisley, Undercolors, O12), Calvin Klein, Datch, Inverso, Massimo Rebecchi, Mila Schön (Marchi: Mariella Burani, Donna Luna, Mario Cerutti, Gai Mattiolo Jeans, Amuleti, Guy La Roche), Officina di Ricerca, Oltre, Regina Schrecker, Sartoria Rossi, Shibuya (Marchi: Zara, Bershka, Oysho), The End, Vestebene Factory Store, The Griffes (Marchi: Prada, Prada Sportwear, Prada Accessori, Prada Calzature, Costume National), The Griffes (Marchi: Miu Miu, Miu Miu Accessori, Miu Miu Calzature, Prada Accessori, Prada Calzature). Men’ cloting: Arfango, Basile, Baldassari Milano, Benetton (Marchi: United Colors of Benetton, Sisley, Undercolors, O12), Calvin Klein, Caporiccio, Datch, Inverso, Massimo Rebecchi, Mila Schön (Marchi: Mariella Burani, Donna Luna, Mario Cerutti, Gai Mattiolo Jeans, Amuleti, Guy La Roche), Officina di Ricerca, Pienza, Regina Schrecker, Sartoria Rossi, Shibuya (Marchi: Zara, Massimo Dutti, Bershka, Oysho), The End, The Griffes (Marchi: Prada, Prada Sportwear, Prada Accessori, Prada Calzature, Costume National). Children cloting: Benetton (Marchi: United Colors of Benetton, Sisley, Undercolors, O12), Calvin Klein, Inverso, Malloy Boxeur des Rues (Nautic Sport Team, Overland), Fox (0-16 anni), Shibuya (Marchi: Zara, Massimo Dutti, Bershka, Oysho). Sportswear: Adidas, Asics, Malloy Boxeur des Rues (Nautic Sport Team, Overland), Nike, Puma, Robe di Kappa (Marchi: K-Way, Superga, Kappa), Sergio Tacchini, Think Pink (Dolomite, Tecnica), The Griffes (Marchi: Prada, Prada Sportwear, Prada Accessori, Prada Calzature, Costume National), The Griffes (Marchi: Miu Miu, Miu Miu Accessori, Miu Miu Calzature, Prada Accessori, Prada Calzature). Casual wear jeans: Americanino, El Charro, Guess, Lee & Wrangler, Levi’s – Dockers, Mc Kenzy, Malloy Boxeur des Rues (Nautic Sport Team, Overland), Stefanel. Calzature: Asics, Bata Factory Store, Botticelli, Mila Schön (Marchi: Mariella Burani, Donna Luna, Mario Cerutti, Gai Mattiolo Jeans, Amuleti, Guy La Roche), Nike, Oltre, Pancaldi 1888, Puma, The Griffes (Marchi: Prada, Prada Sportwear, Prada Accessori, Prada Calzature, Costume National). Underwear: Golden Point (Marchi: Golden Lady, Omsa, Filodoro, SiSi, Philippe Matignon), Parah, Pompea Shop (Marchi: Pompea, Roberta). Household items: Bialetti Industrie (Marchi: Bialetti Casa Italia, Rondine, Girmi, Aeternum), C’è Bassetti, Gabel, Italian Factory (Marchi: Foppapedretti, Richard Ginori, Guzzini, Casanova), IVV, Lagostina (Marchi: Rowenta, Moulinex, Tefal, Zyliss, Kuchenprofi, Amefa, Krups, Schonhuber, Marcato, Ilsa), Löwe Tappeti, Sharama, Viceversa. Perfumery and Cosmetics: Bottega Verde, Kiko, Profumeria Etrusca. Ottica: Optic Zone (Marchi: Giorgio Armani, Bullget, CK-Calvin Klein, Christian Dior, Dolce & Gabbana, Emporio Armani, Exté, Fendi, Salvatore Ferragamo, Gianfranco Ferré, Gucci, Ana Hickmann, Persol, Police, Prada, Ray-Ban, Replay, Richmond, Valentino, Versus-Versace, Vogue). Jewelry and watches: Morini Jewels (Marchi: D&G Orologi, Festina, Calipso, Fila, ZZero, Walt Disney, Pier Cardin, UnoAerre, Falcinelli Diamanti, Diamomd Import, Eternità, Raima, Morini Gioielli, Tendenze, Luiber), Swatch. 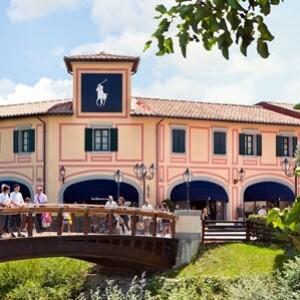 Services: It is one of the best stocked in Tuscany Prada Outlet with clothing and items, shoes and accessories. Services: 100 shops where you can find the best brands of Italian and international fashion. Check out your favorite brands at prices reduced by up to 70% all year. Barberino Designer Outlet is crossed by the Sieve river, with a series of bridges connecting the stores based on the style of the Renaissance villas of the Mugello, where visitors can add to the shopping experience, a nice hike in the natural environment of Mugello. To get to Florence it takes 30 minutes and Bologna in an hour. At Barberino Designer Outlet, there is always something special for everyone: bars and restaurants, children play area, free parking. Tax Free Shopping – Shuttle service from the center of Florence. Women’ clothing: Brooksfield, Caractère, Calvin Klein Collection, Colombo Collezioni in Cachemire, Compagnia delle Pelli, Diffusione Tessile, D&G, Elena Mirò, Eredi Pisanò, Fornarina, Grigioperla, Il Lanificio, Laltramoda, Les Copains, Malo, Mariella Burani, Massimo Rebecchi, Missoni, Motivi, Pinko, Société Pour Le Tricot, Vestebene. Men’ clothing: Abital, Brooksfield, Carlo Pignatelli, Calvin Klein Collection, Colombo Collezioni in Cachemire, Compagnia delle Pelli, David Mayer, D&G, Eredi Pisanò, Flannel Bay, Il Lanificio, Les Copains, Malo, Massimo Rebecchi, Missoni, Pal Zileri, Société Pour Le Tricot, Tailor Club, Ugo Colella. Children clothing: D&G, Guess Kids, K.I.D.S., Q Come Quore. Sportswear: Adidas, Fila, Motostore, Puma, Robe di Kappa, Sergio Tacchini, Slam. Casual wear jeans: CK Jeans, Clan International (Marchi: Belstaff, Capalbio), Cotton Belt, Gas, Guess, Guru, Jean’s Paul Gaultier, John Ashfield, Levi’s – Dockers, Malloy, Marlboro Classic, Maui Bear, Nautica, Officina di Ricerca (Marchi: John Richmond, Moschino Jeans, Dkny, Krizia Jeans), Rifle, Stefanel, Store House (Marchi: Barbour, Woolrich), St.Diego A-Style, The End, United Colors of Benetton, Wrangler – Lee. Footwear: Adidas, Baldinini, Black Box, Bruno Magli, Caractère, Coccinelle, Corso Roma, Docksteps, Fila, Fornarina, Moreschi, Pollini, Prada, Puma. Underwear: Calzedonia, CK Underwear, Golden Lady, Lovable Playtex Planet, Tezenis. Luggage, bags and accessories: Abital, Bric’s Store, Bruno Magli, Coccinelle, Compagnia delle Pelli, Furla, Guess Accessories, Piquadro, Segue. Cosmetics: Bottega Verde, Douglas, Pupa Outlet, The Bridge. Services: Max Mara group space, where you can choose between the heads of past collections, discontinued and inventories, including Max & Co. lines, I Blues and Marella. You can also make online purchases. Women’ clothing: Max & Co., I Blues, Marella, Marina Rinaldi. Services: Trendy shop, which collects past collections of clothing, footwear and accessories, located 4 km away from “The Mall Outlet” “The Mall outlet”. 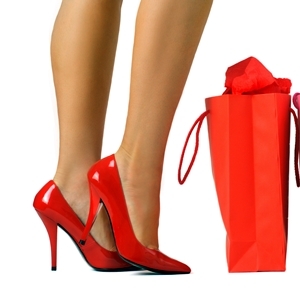 Services: 10 shops specializing in footwear close to the area of Dolce & Gabbana. Services: The excellence of Italian fashion enclosed in one place designed to offer the best shopping experience possible. Inside the Outlet there are a restaurant, a bar, free wi-fi and the information center over more than 20 internzionali brands. Shuttle service from the center of Florence. Services: Wide point well-stocked sale of leather craft products, from bags, shoes and various accessories. Services: There are only clothing, bags, accessories, clothing for men and women , from the previous year of Roberto ‘s collection. Services: Company store self-service style with a wide selection of clothes, shoes, sweaters, fleece, sunglasses for women, men and children. Services: Clothing and casual-chic accessories Ralph Lauren, garments and footwear from Timberland and Husky brand for women, men and children. Services: Clothing for men and women, and accessories at very reasonable prices.